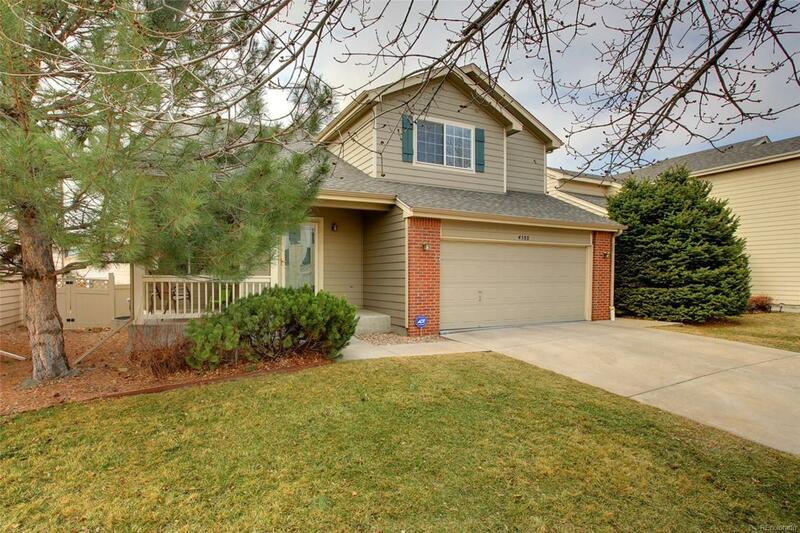 Fantastic well-kept home in desirable community! This light-drenched Village Home has an ideal floor plan that is spacious and open, affording easy living. Enjoy an updated kitchen featuring granite counters, tile backsplash, SS appliances, a pantry as well as hardwood floors. Ample dining/eating space is open to the family room. A flex space provides the ideal setting for a home office, children's play area or easy conversion to 4th bedrm. The well-appointed master suite provides vaulted ceilings, a walk-in closet and dual vanity sinks. Out back, discover a trex deck (no maintenance! ), a built-in hot tub and grass for games, play or the pup. New roof & gutters July 2017. This location can't be beat: 2 min. to Tennyson Knolls Park, 3 min. to the new Light Rail G-Line opening soon (64th & Sheridan), 5 min. to Olde Town Arvada, 7 min. to Denver's HOT Tennyson Street, and 15 min. to LoDo/LoHi. Easy highway access to scoot to the mountains or the airport.